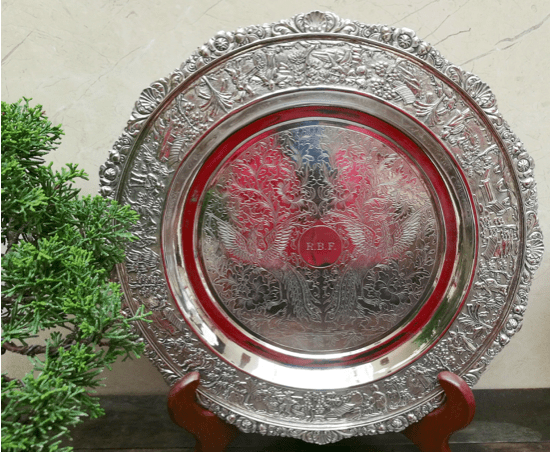 CHINESE EXPORT SILVER – THE DEFINITIVE INFORMATION SOURCE | 全球权威的信息枢纽，为中国进出口银 | 全球權威的信息樞紐，為中國進出口銀 The most mis-understood silver category in the world! With my research now well into its 8th year, not only has so much additional information been amassed but it has dramatically changed my understanding of the complexities that make up the silver category we have come to know as Chinese Export Silver. “Familiarity breeds contempt” is a well-used proverb but in the context of my own familiarity with Chinese Export Silver nothing could be further from the truth – it has allowed me to have a more intuitive understanding of its complexities. China had been ruled by dynasties and royal families for more than 3500 years, dating back to circa 1500 BCE. While dynasties can be said to have differed, one single doctrine bound them closely together – Tian Ming [Mandate of Heaven]. It was during the Han Dynasty [late 3rd century BCE until 220 CE] that the introduction of Confucian philosophy derived from the writings of Kong Fuzi 孔子 [“Master Kung,” known in the West as “Confucius”] took place, which in turn reinforced the concept of the Mandate of Heaven. 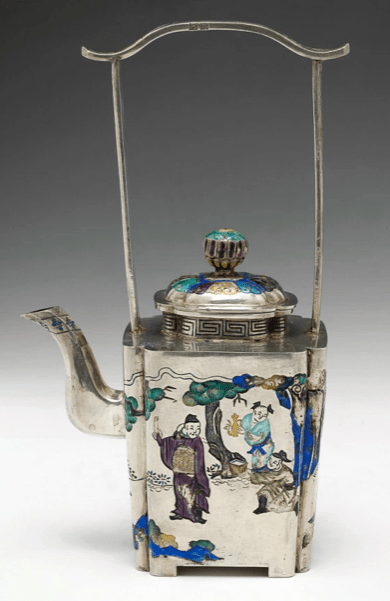 As the world’s oldest surviving civilisation, China may not be widely perceived as having been a historic producer of decorative silver wares, but the reality is that it has a heritage of silver-making longer than most nations – 2200 years to be exact. As with most countries that have a similar affinity with silver, China’s early decorative silver [Han-pre-Ming Dynasty] demonstrates influences from outside of China. These influences tend to have come from nations and empires that lay loosely along the ancient Silk Road, strongly suggesting that such influences had a connection in some way to trade; in the 17th century, the influences came mainly from Europe by way of what has become known as The Maritime Silk Road. This immediately raises a conundrum of sorts – whether international trade promotes artistic and cultural exchanges or vice versa; not a simple puzzle to fathom, especially when the trading was of itself complex. 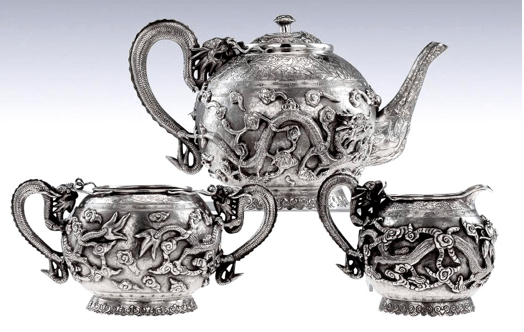 What is particularly interesting about Chinese decorative silver, however, is that it is an effective vehicle with which to demonstrate what is a very complex Chinese history at any point in that timeline and, unlike its European parallels, it is inextricably linked to China’s important place in international trade. 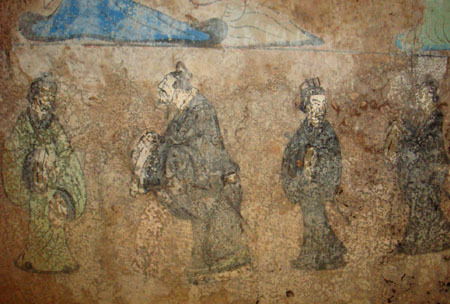 During the latter part of the Ming Dynasty, the level of trade with the outside world was drastically reduced. This trend was reversed with the rise of the Qing Dynasty; a trend that dramatically kept rising as the 18th century moved into the 19th century and the phenomenon the West generally refers to as The China Trade developed into being a substantial world trade phenomenon, albeit highly complex and convoluted. Recent research now reveals that contrary to previously held beliefs, the Ming Dynasty produced some extremely fine pieces of decorative silver items that seamlessly influenced the silver wares of the early Qing Emperors; sadly few examples of Ming silver managed to survive, but the large Wanli silver censer [above] presents a decorative style that remained prevalent for most of the silver-making period of the Qing Dynasty. 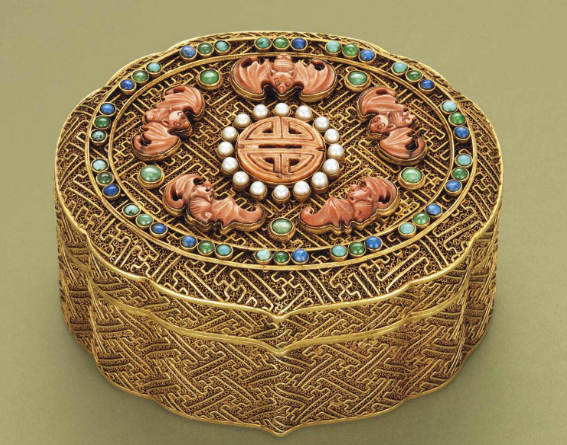 The late Ming and the early Qing Emperors were additionally influenced by the acceptance of certain European Jesuit scholars at court, influences that are all too prominent in the exquisite gold and silver-gilt boxes of the early Qing Dynasty that rival contemporary boxes produced in France, Russia and England for imperial and royal households and their courts. Cultural influences on the decorative arts were by no means a one-way phenomenon; the style that became known as Chinoiserie arose in the mid-17th century across the European continent. 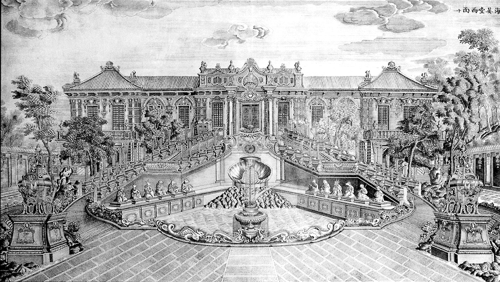 An awareness, originally awoken by the German born Jesuit missionary and sinologist Athanasius Kircher, taken up in earnest by the Scottish architect Sir William Chambers who in turn inspired the likes of Thomas Chippendale, François Boucher, Louis le Vau and Jean-Baptiste Pillement to create Chinese fantasies in England, Russia and France for the royal courts and aristocracy. 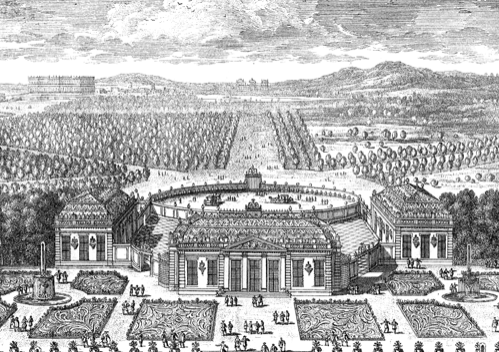 At the same time, the Qianlong Emperor and his Jesuit court protegé Castiglione were creating a baroque-influenced summer palace in Beijing. Decorative art styles have never been containable to one single nation, but in the 17th century the extent of artistic exchanges between the West and China and vice versa reached new heights. This was not just down to a handful of prominent activists, so to speak; international trade and its very momentum created the wherewithal for it to happen. 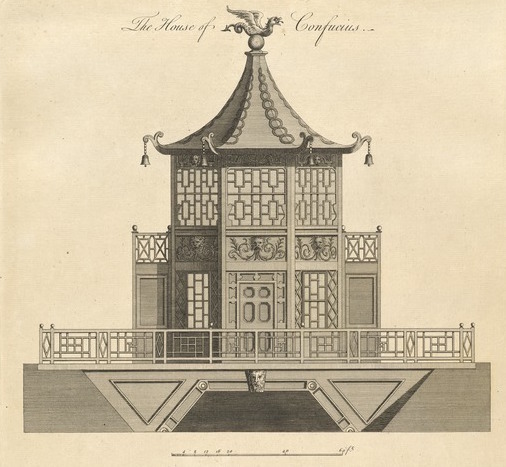 While ‘orientalism’ and ‘chinoiserie’ were China-centric stylistic influences that spread across Europe from the mid-17th century, it is generally not realised that an equivalent was happening pan-China; sometimes referred to as ‘euroiserie’, Chinese visual, architectural and decorative arts were profoundly influenced in various ways by styles and decorative techniques found in Europe. As a direct result of the China Trade, in particular the tea trade, and the vagaries of the economics of that trade, other commerce-centric phenomena came into prominence; opium was one such a trade; a significant number of other trades existed, all of which were single-commodity based and some of which might seem obscure at first glance – dried rhubarb root from China, for instance, was highly sought after across Europe for several centuries and was considered a necessity of everyday life; collectively, it also constituted a significant trade monetarily. The idiosyncrasies and generated power of economics of the transacting of each of these commodities were to unwittingly contribute to the creation an entire decorative silver category that came to be synonymous with the southern Chinese port of Canton and the China Trade. The West has come to know this silver as “Chinese Export Silver”, but for the silver to have come into existence so readily, numerous Chinese silversmiths and workshops already had to existed and producing high quality silver items for the domestic market, as they and their forebears had done for centuries. Prior to the Qing Dynasty, decorative silver objects from preceding dynasties are usually described by being ascribed to a particular Emperor’s reign or, in the case very early silver items, to a particular dynasty. Applying that unique and ever-present Chinese quest for logic and order, it would be more fit, proper and informative that the silver genus be called ‘Qing Dynasty Silver’ and ‘Chinese Republic Period Silver’, whichever is most appropriate to each specific item’s manufacturing date, its style and form. An item of Chinese Export Silver is never simply a piece of silver; it is a rich cultural narrative as well as being an item of beauty, immense craftsmanship and extraordinary creativity. Humour is also very much attached to this silver category – in so many items, the joy the silversmith experienced in the making manifests itself in the decoration to the point where it is palpable. All this contributes to setting Chinese Export Silver apart from other world silver categories where the silversmith generally worked within the rigid confines of a definitive style and clients’ specific instructions as well as the amount of raw silver required to create wishing the confines of a budget. The Chinese way allowed far more freedom of expression, while combinations of traditional Chinese decorative motifs convey or imply specific narratives. While much of this might be lost on non-Chinese people, the beauty, craftsmanship and creativity is still undeniably there; it is simply a case of how two differing mindsets interpret and understand that beauty. It has often been said that the Chinese approach to life has similarities with Chinese opera. a composite performance art that is an amalgamation of various art forms. The same could be said of Chinese silver, given China’s almost perpetually complex history is played out using the medium of the silver objects as the actual stage; Chinese Export Silver is a superb vehicle with which to demonstrate both China’s rich history as well as its rich silver-making heritage – using what is a unique and important private Beijing collection of Qing Dynasty and Republic Period Chinese silver, a highly complex tapestry of China’s combined history can be related as it’s never been done before. To fully understand and appreciate this silver genus, one has to understand the complexities of the applicable history and the international trading that managed to exist, even thrive, within it; it is the combination of circumstances that gave rise to the silver and allowed it to evolve, just as the circumstances did. Qing Dynasty items of silver, particularly those of the China Trade period, often come with a complex historical narrative all of their own. 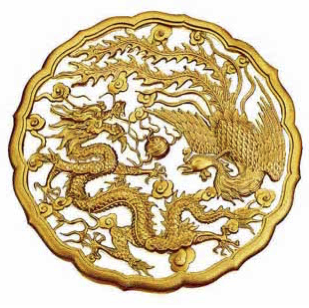 Equally, to completely understand and appreciate Qing Dynasty silver, one has understand it within the context of the entire 2200-year Chinese decorative silver repertoire as well as understanding the ancient social order of China which places merchant traders on the bottom rung. A circa 1840 silver salver, carrying the merchant marks of Khe Cheong, Canton engraved with the initials “R.B.F” for Robert Bennet Forbes – In 1840, the American China Trade merchant Robert Bennet Forbes became head of Russell & Company and had a close personal and working relationship with Khe Cheong immediately catapults these two salvers into being not only highly significant historic relics of the China Trade, but also they are important examples of China Trade objects that have a purely American merchant family provenance; by default, they can only be regarded as an important historical marker of American history. An item of Chinese Export Silver is never just a piece of silver; it is a rich cultural narrative! Adrien von Ferscht, THE expert in the field of Chinese Export Silver, never ceases to educate and amaze with his knowledge and continuing research into China’s enormous silver trade. Sit back and relax with some green tea and read about one of the most fascinating areas of silver history.